"Snowflake Collector by Lorrie Weber" product is already in your cart. Snowflake Collector by Lorrie Weber personal checks feature winter's favorite, the snowman. Dressed for the weather, this frosty fellow has the traditional black hat and a red scarf. Lorrie Weber is an artist and author known for her wonderful country styling and coloring. People have been making snowmen since the Middle Ages in Europe, perhaps even longer. Snowmen are made of snow, and snowflakes are made of water and air. Amazingly, a snowman is about 80% air. 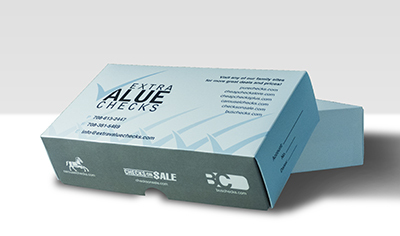 Snowflake Collector by Lorrie Weber checks are available in single and duplicate check format. Matching address labels and a coordinating checkbook cover are also available.